Penning an obituary for a well-liked friend, who also happens to be attending the funeral, makes for an awkward line to the salad bar during the wake. 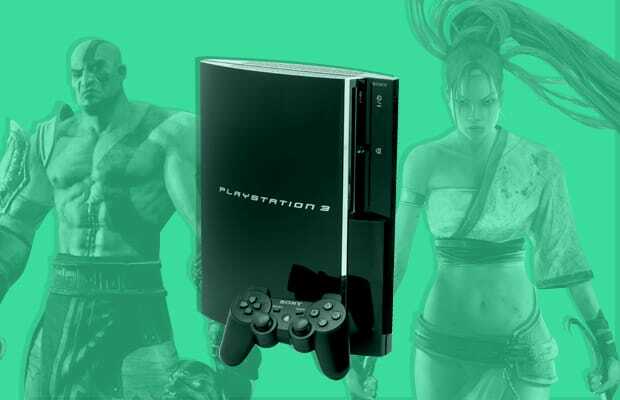 While the world looks forward to Sony's PlayStation 4 to replace the console shaped hole in the collective chests of gamers, now may be the time to remind the world that the PlayStation 3 isn't going anywhere anytime soon. Sony has stated on multiple occasions that they will continue to support the PS3 as long as there is support for the console. Sony supported the PlayStation 2 for nearly a decade after that console launched. Those final shipments were released in December of 2012. With Sony's acquisition of the Gaikai cloud gaming service for a breezy $380 Million, past titles of the PS3 and PS2 libraries will (presumably) be available to play on the PS4. The cloud service will further extend the (virtual) life of some of the greatest titles ever released of the past two generations of video games. Hopefully we won't be forced to buy Shadow of the Colossus a third time. While we may have to wade through the release title detritus of the PS4, savvy consumers know that an entire generation's worth of titles will eventually be reduced to bargain bin prices. It's been a generation filled with stunning highs and some memorable lows. While list that contains cross-platform titles, the writers of this list experienced these games on the PS3 exclusively as opposed to PC or the Xbox 360. Here are our picks for The Best PlayStation 3 Video Games of This Generation.